1868’de kendine atölye kurdu ve aynı yıl geliştirdiği elektrikli bir oy kayıt makinasının patentini aldı. Aygıt oldukça ilgi topladı ama kimse tarafından satın alınmadı. Tüm parasını yitiren Edison, Boston’dan ayrılarak New York’a yerleşti. Edison’un şansı altın borsasının düzenlenmesinde kullanılan telgrafın bozulması üzerine döndü. Borsa yetkililerinin istemi üzerine aygıtı ustaca tamir eden Edison, Western Union Telegraph Company’den geliştirilmekte olan telgraflı kayıt aygıtları üzerinde yetkinleştirme çalışması yapma önerisi aldı. Bunun üzerine bir arkadaşı ile birlikte Edison Universal Stock Printer mühendislik şirketini kurdu. Ve sattığı patentlerle kısa sürede önemli bir servet edindi. Bu parayla New Jersey’deki Newark’ta bir imalathane kurarak telgraf ve telem aygıtları üretmeye başladı. Bir süre sonra imalathanesini kapatarak New Jersey’deki Menlo Park’ta bir araştırma laboratuvarı kurdu ve tüm zamanını yeni buluşlar yapmaya yönelik çalışmalara ayırdı. Edison, 1876’da Graham Bell’in geliştirdiği konuşan telgraf üzerinde çalışmaya başladı. Aygıta karbondan bir iletici ekleyerek telefonu yetkinleştirdi. Ses dalgalarının dinamiği üzerine yaptığı bu çalışmalardan yararlanarak 1877’de sesi kaydedip yineleyebilen gramafonu geliştirdi. Geniş yankı uyandıran bu buluşu ününün uluslararası düzeyde yayılmasına neden oldu. 1878’de William Wallace’in yaptığı 500 mum güçündeki ark lambasından etkilenen Edison, bundan daha güvenli olan ve daha ucuz bir yöntemle çalışan yeni bir elektrik lambasını geliştirme çalışmasına girişti. Bu amaçla açtığı bir kampanyanın yardımıyla önde gelen işadamlarının parasal desteğini sağladı ve Edison Electric Light Company’yi kurdu. Oksijenle yanan elektrik arkı yerine havası boşaltılmış bir ortamda (vakum) ışık yayan ve düşük akımla çalışan bir ampul yapmayı tasarlıyordu. Bu amaçla 13 ay boyunca flaman olarak kullanabileceği bir metal tel yapmaya uğraştı. Sonunda 21 Ekim 1879’da özel yüksek voltajlı elektrik üreteçlerinden elde ettiği akımla çalışan karbon flamanlı elektrik ampulünü halka tanıttı. Üç yıl sonra New York sokakları bu lambalarla aydınlanacaktı. İki kez evlenerek altı çocuk sahibi olan Edison, 1931 yılında New Jersey’de hayata gözlerini yumdu. Contrary to popular belief, Thomas Edison was not born into poverty in a backwater mid-western town. Actually, he was born -on Feb. 11, 1847 – to middle-class parents in the bustling port of Milan, Ohio, a community that – next to Odessa, Russia – was the largest wheat shipping center in the world. In 1854, his family moved to the vibrant city of Port Huron, Michigan, which ultimately surpassed the commercial preeminence of both Milan and Odessa…. At age seven – after spending 12 weeks in a noisy one-room schoolhouse with 38 other students of ll ages – Tom’s overworked and short tempered teacher finally lost his patience with the child’s persistent questioning and seemingly self centered behavior. Noting that Tom’s forehead was unusually broad and his head was considerably larger than average, he made no secret of his belief that the hyperactive youngster’s brains were “addled” or scrambled. If modern psychology had existed back then, Tom would have probably been deemed a victim of ADHD (attention deficit hyperactivity disorder) and proscribed a hefty dose of the “miracle drug” Ritalin. Instead, when his beloved mother – whom he recalled “was the making of me… [because] she was always so true and so sure of me… And always made me feel I had someone to live for and must not disappoint.” – became aware of the situation, she promptly withdrew him from school and began to “home-teach” him. Not surprisingly, she was convinced her son’s slightly unusual demeanor and physical appearance were merely outward signs of his remarkable intelligence. 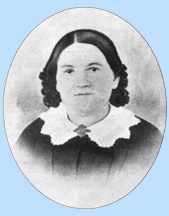 A descendant of the distinguished Elliot family of New England, New York born Nancy Edison was the devout and attractive daughter of a highly respected Presbyterian minister and an accomplished educator in her own right. After the above incident, she commenced teaching her favorite son the “Three Rs” and the Bible. Meanwhile, his rather “worldly” and roguish father, Samuel, encouraged him to read the great classics, giving him a ten cents reward for each one he completed. It wasn’t long thereafter that the serious minded youngster developed a deep interest in world history and English literature. Interestingly, many years later, Tom’s abiding fondness for Shakespeare’s plays lead him to briefly consider becoming an actor. However, because of his high-pitched voice and his extreme shyness before every audience – except those he was trying to influence into helping him finance an invention – he soon gave up the idea. At age 11, Tom’s parents tried to appease his ever more voracious appetite for knowledge by teaching him how to use the resources of the local library. This skill became the foundation of many factors that gradually caused him to prefer learning via independent self instruction. Starting with the last book on the bottom shelf, Tom set out to systematically read every book in the stacks. Wisely, however, his parents promptly guided him into towards being more selective in what he read…. By age 12, Tom had not only completed Gibbon’s Rise And Fall Of The Roman Empire, Sears’ History Of The World, and Burton’s Anatomy Of Melancholy, he had devoured The World Dictionary of Science and a number of works on Practical Chemistry. Unfortunately, in spite of their noble efforts, Tom’s dedicated parents eventually found themselves incapable of addressing his ever increasing interest in the Sciences. For example, when he began to question them about concepts dealing with Physics – such as those contained in Isaac Newton’s great “Principia” – they were utterly stymied. Accordingly, they scraped enough money together to hire a clever tutor to help their precocious son in trying to understand Newton’s complex mathematical principles and unique style…. Unfortunately, this experience had some negative affects on the highly impressionable boy. He was so disillusioned by how Newton’s sensational theories were written in classical aristocratic terms -which he felt were unnecessarily confusing to the average person -he overreacted and developed a hearty dislike for all such “high-tone” language and mathematics…. On the other hand, the simple beauty of Newton’s physical laws did not escape him. In fact, they very much helped him sharpen his own free wheeling style of clear thinking, proving all things to himself through his own method of objective examination and experimentation.” Tom’s response to the Principia also enhanced his propensity towards gleaning insights from the writings and activities of other great men and women of wisdom, never forgetting that even they might be entrenched in preconceived dogma and mired down in associated error…. All the while he was cultivated a strong sense of perseverance, readily expending whatever amount of perspiration needed to overcome challenges. This was a characteristic that he later noted was contrary to the way most people respond to stress and strain on their body…. The key upshot of this attribute was that his unique mental, and physical, stamina stood him in good stead when he took on the incredible rigors of a being a successful inventor in the late 19th Century…. Returning to the story of his youth, by age 12, Tom had already become an “adult.” He had not only talked his parents into letting him go to work selling newspapers, snacks, and candy on the local railroad, he had started an entirely separate business selling fruits and vegetables…..
And at age 14 -during the time of the famous pre-Civil War debates between Lincoln and Douglas -he exploited his access to the associated news releases that were being teletyped into the station each day and published them in his own little newspaper. Focusing upon such newsworthy “scoops,” he quickly enticed over 300 commuters to subscribe to his splendid little paper: the Weekly Herald…. Interestingly, because this was the first such publication ever to be type-set, printed, and sold on a train, an English journal now gave him his first exposure to international notoriety when it related this story in 1860. At its peak, Tom’s mini-publishing venture netted him more than ten dollars per day. Because this was considerably more than enough to provide for his own support, he had a good deal of extra income, most of which went towards outfitting the chemical laboratory he had set up in the basement of his home. But hen his usually patient and tolerant mother finally complained about the odors and danger of all the “poisons” he was amassing, he transferred most of them to a locked room in the basement and put the remainder in his locker room on the train. One day, while traversing a bumpy section of track, the train lurched, causing a stick of phosphorous to roll onto the floor and ignite. Within moments, the baggage car caught fire. The conductor was so angry, he severely chastised the boy and struck him with a powerful blow on the side of his head. Purportedly, this may have aggravated some of the loss of hearing he may have inherited and from a later bout he had with scarlet fever. In any case, the station master penalized him by restricting him to peddling his newspaper to venues in railroad stations along the track …. Remarkably, years later and not long after he had acquired the means to have an operation that “would have likely restored his hearing,” he flatly refused to act upon the option…. His rationale was that he was afraid he “would have difficulty re-learning how to channel his thinking in an ever more noisy world.” Whatever the cause for this defect, by the time Tom was 14 years of age, it was virtually impossible for him to acquire knowledge in a typical educational setting. Amazingly, however, he never seemed to fret a whole lot over the matter. Naturally inclined towards accepting his fate in life – and promptly adapting to whatever he was convinced was out of his control -he always reacted by committing himself to compensating via alternative methods…. Ultimately, Tom became totally deaf in his left ear, and approximately 80% deaf in his right ear. Poignantly, he once stated that the worst thing about this condition was that he was unable to enjoy the beautiful sounds of singing birds. Indeed, he loved the creatures so much, he later amassed an aviary containing over 5,000 of them. One day while he was on the train, the stationmaster’s very young son happened to wander onto the tracks in front of an oncoming boxcar. Tom leaped to action. Luckily – as they tumbled away from its oncoming wheels – they ended up being only slightly injured. Now, one of the most significant events in Tom’s life occurred when – as a reward for his heroism – the child’s grateful father taught him how to master the use of Morse code and the telegraph. In the “age of telegraphy,” this was akin to being introduced to learning how to use a state-of-the-art computer. By age 15, Tom had pretty much mastered the basics of this fascinating new career and obtained a job as a replacement for one of the thousands of “brass pounders” (telegraph operators) who had gone off to serve in the Civil War. He now had a golden opportunity to enhance his speed and efficiency in sending and receiving code and performing experiments designed to improve this device…. Once the Civil War ended, to his mother’s great dismay, Tom decided that it was time to “seek his fortune.” So, over the next few years, he meandered throughout the Central States, supporting himself as a “tramp operator”. 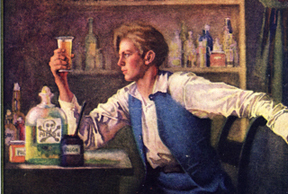 At age 16, after working in a variety of telegraph offices, where he performed numerous “moonlight” experiments, he finally came up with his first authentic invention. Called an “automatic repeater,” it transmitted telegraph signals between unmanned stations, allowing virtually anyone to easily and accurately translate code at their own speed and convenience. Curiously, he never patented the initial version of this idea. In 1868 – after making a name for himself amongst fellow telegraphers for being a rather flamboyant and quick witted character who enjoyed playing “mostly harmless” practical jokes – he returned home one day ragged and penniless. Sadly, he found his parents in an even worse predicament…. First, his beloved mother was beginning to show signs of insanity “which was probably aggravated by the strains of an often difficult life.” Making matters worse, his rather impulsive father had just quit his job and the local bank was about to foreclose on the family homestead. Tom promptly came to grips with the pathos of this situation and – perhaps for the first time in his life – also resolved to come to grips with a number of his own immature shortcomings. After a good deal of soul searching, he finally decided that the best thing he could do would be to get right back out on his own and try to make some serious money…. Throughout the mid-19th century, New England had many features that were analogous to today’s Silicon Valley in California. However, instead of being a haven for the thousands of young “tekkies” – who communicate with each other in computerese and internet code of today – it was the home of scores of young telegraphers who anxiously stayed abreast of the emerging age of electricity and the telephone etc. by conversing with via Morse code. During these latter days of the “age of the telegraph,” Tom toiled 12 hours a day and six days a week for Western Union. Meanwhile, he continued “moonlighting” on his own projects and, within six months, had applied for and received his very first patent. A beautifully constructed electric vote-recording machine, this first “legitimate” invention he was to come up with turned out to be a disaster. Although Tom was very much disappointed by this turn of events, he immediately grasped the implications. Even though his remarkable invention allowed each voter to instantly cast his vote from his seat – exactly as it was supposed to do – he realized his idea was so far ahead of its time it was completely devoid of any immediate sales appeal. It is important to add here that it was during Tom’s 17 month stint in Boston that he was first exposed to lectures at Boston Tech (which was founded in 1861 and became the Mass. 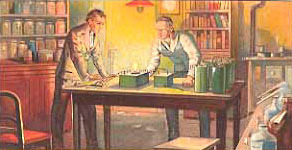 Institute of Technology in 1916) and the ideas of several associates on the state-of-the-art of “multiplexing” telegraph signals. This theory and related experimental quests involved the transmission of electrical impulses at different frequencies over telegraph wires, producing horn-like simulations of the human voice and even crude images (the first internet?) via an instrument called the harmonic telegraph. Not surprisingly, Alexander Graham Bell, who was also living in Boston at the time, was equally fascinated by this exciting new aspect of communication science. And no wonder. The principles surrounding it ultimately led to the invention of the first articulating telephone, the first fax machine, the first microphone, etc. Bredding had originally worked for the well known promoter, George B. Stearns, who – with Bredding’s help – had beaten everyone to the punch when he obtained the first patent for a duplex telegraph line. A device that exploits the fact that electromagnetism and the number and direction of wire windings associated with a connection between telegraph keys can influence the current that flows between them, and greatly facilitate two-way telegraphic communication, it powerfully intrigued Edison…. Stearns, finally sold the patent for this highly significant cost-cutting invention to Western Union for $750,000. Bredding (and Edison, of course) wound up getting absolutely nothing from the venture. In the meantime, however, Bredding provided his pal, Tom Edison, with his first detailed introduction and understanding of the state-of-the-art of the harmonograph and the multiplex transmitter…. Unlike Edison, Bredding was an extremely modest individual with little taste for aggrandizement and self promotion… The pathetic upshot of all this was that – while the caprice associated with the rough and tumble world of patenting inventions in the mid-19th century ultimately crushed Bredding’s innately mild and somewhat naive spirit and his extraordinary potential – it merely spurred the tough-minded Edison on to not only improve the duplex transmitter, but to later patent the world’s first quadruplex transmitter…. During the third week after arriving in “the big apple” Tom (seen left) was purportedly “on the verge of starving to death.” At this precipitous juncture, one of the most amazing coincidences in the annals of technological history now began to unfold. Immediately after having begged a cup of tea from a street vendor, Tom began to meander through some of the offices in New |York’s financial district. Observing that the manager of a local brokerage firm was in a panic, he eventually determined that a critically important stock-ticker in his office had just broken down…. Noting that no one in the crowd that had gathered around the defective machine seemed to have a clue on how to fix it, he elbowed his way into the scene and grasped a momentary opportunity to have a go at addressing what was wrong himself…. Luckily, since he had been sleeping in the basement of the building for a few days – and doing quite a bit of snooping around – he already had a pretty good idea of what the device was supposed to do. After spending a few seconds confirming exactly how the stock ticker was intended to work in the first place, Tom reached down and manipulated a loose spring back to where it belonged. To everyone’s amazement, except Tom’s, the device began to run perfectly. It should come as no surprise that, during his free time, Edison soon resumed his habit of “moonlighting” with the telegraph, the quadruplex transmitter, the stock-ticker, etc. Shortly thereafter, he was absolutely astonished – in fact he nearly fainted – when a corporation paid him $40,000 for all of his rights to the latter device. Convinced that no bank would honor the large check he was given for it, which was the first “real” money he had ever received for an invention, young Edison walked around for hours in a stupor, staring at it in amazement. Fearful that someone would steal it, he laid the cash out on his bed and stayed up all night, counting it over and over in disbelief. The next day a wise friend told him to deposit it in a bank forthwith and to just forget about it for a while. A few weeks later, Edison wrote a series of poignant letters back home to his father: “How is mother getting along?… I am now in a position to give you some cash… Write and say how much….Give mother anything she wants….” Interestingly, It was at this time that he also repaid Bredding the $35.00 he had borrowed earlier. Over the next three years, Edison’s progress in creating successful inventions for industry really took off…. For example, in 1874 – with the money he received from the sale of an electrical engineering firm that held several of his patents – he opened his first complete testing and development laboratory in Newark, New Jersey. At age 29, he commenced work on the carbon transmitter, which ultimately made Alexander Graham Bell’s amazing new “articulating” telephone (which by today’s standards sounded more like someone trying to talk through a kazoo than a telephone) audible enough for practical use. Interestingly, at one point during this intense period, Edison was as close to inventing the telephone as Bell was to inventing the phonograph. Nevertheless, shortly after Edison moved his laboratory to Menlo Park, N.J. in 1876, he invented – in 1877 – the first phonograph. And if that wasn’t enough to forever seal his unequaled importance in technological history, he came up with an invention that – in terms of its collective affect upon mankind – has had more impact than any other. In 1883 and 1884, while beating a path from his research lab to the patent office, he introduced the world’s first economically viable system of centrally generating and distributing electric light, heat, and power. (See “Greatest Achievement?“) Powerfully, instrumental in impacting upon the world we know today, even his harshest critics grant that it was a Herculean achievement that only he was capable of bringing about at this specific point in history. By 1887, Edison was recognized for having set up the world’s first full fledged research and development center in West Orange, New Jersey. An amazing enterprise, its significance is as much misunderstood as his work in developing the first practical centralized power system. Regardless, within a year, this fantastic operation was the largest scientific testing laboratory in the world. In 1890, Edison immersed himself in developing the first Vitascope, which would lead to the first silent motion pictures. And, by 1892, his Edison General Electric Co. had fully merged with another firm to become the great General Electric Corporation, in which he was a major stockholder. By now, Edison was being hailed world-wide as The wizard of Menlo Park, The father of the electrical age,” and The greatest inventor who ever lived.” Naturally, when World War I began, he was asked by the U. S. Government to focus his genius upon creating defensive devices for submarines and ships. During this time, he also perfected a number of important inventions relating to the enhanced use of rubber, concrete, and ethanol. By the 1920s Edison was internationally revered. However, even though he was personally acquainted with scores of very important people of his era, he cultivated very few close friendships. And due to the continuing demands of his career, there were still relatively long periods when he spent a shockingly small amount of time with his family. It wasn’t until his health began to fail, in the late 1920s, that Edison finally began to slow down and, so to speak, “smell the flowers.” Up until obtaining his last (1,093rd) patent at age 83, he worked mostly at home where, though increasingly frail, he enjoyed greeting former associates and famous people such as Charles Lindberg, Marie Curie, Henry Ford, and President Herbert Hoover etc. He also enjoyed reading the mail of admirers and puttering around, when able, in his office and home laboratory. Notes: In 1929, Edison’s close friend, Henry Ford, completed the task of moving Edison’s original Menlo Park laboratory to the Greenfield Village museum in Dearborn, Mich. In 1962 his existing laboratory and home in West Orange, N.J. were designated as National Historic Sites. 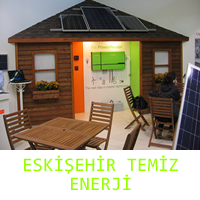 5 Yanıt to "Thomas Edison"
Wonderful web site:D Hope to come back soon..